Many times, when we advocate use of visuals in presentations, the immediate response is “I have been using pictures in my presentations. But I don’t seem to get the results I want”. In every such case the mistake presenters make is ‘using visuals the wrong way’. Remember, it’s not the visuals but the right visuals that get you results. 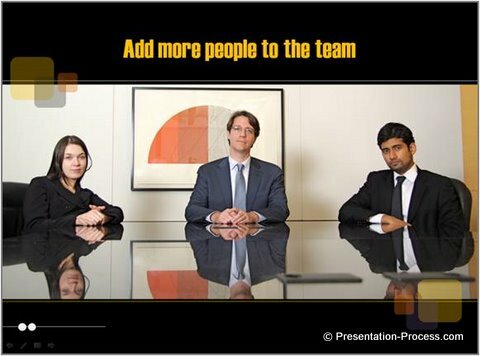 Many presenters are of the opinion that using pictures in their presentations is their passport to success. What they don’t realize is – it’s not the visuals, but what they choose to visualize that determines the results. Let us see some examples of wrong focus and the way to correct them. A business presenter wanted to update her senior management about her team’s monthly performance. She presented a beautiful slide that must have made a Zen master proud. She mentioned the key facts and figures in her talk. But the audience was unimpressed. Though the slide is impressive, she chose the wrong subject to visualize. Her audience wanted to know the specifics of her achievement. 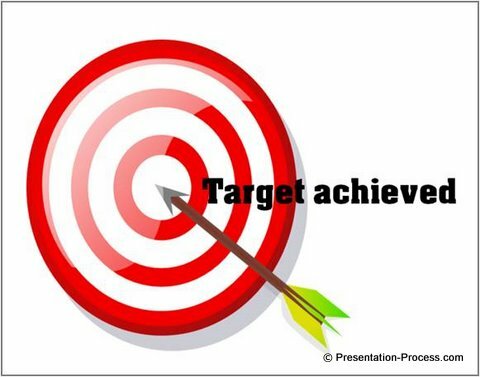 They didn’t need a visual to tell them what achieving target meant. This slide may not be as colorful as the earlier one. But, this is exactly the information that was required by her audience. 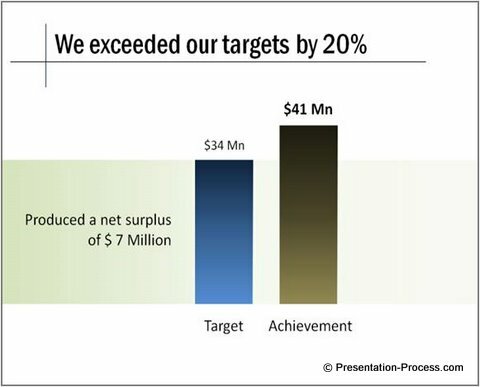 The visual representation of over-achievement, backed by specific numbers is easy to understand and remember. In a recent workshop, a trainer expressed his disappointment with using visuals to explain his concepts. He said his participants were not ‘getting’ his explanation, no matter what pictures he used. He shared his slides with us. 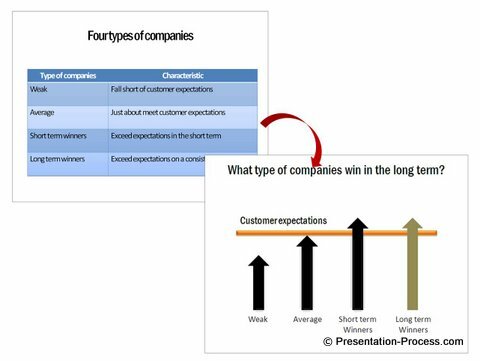 He had taken the advice of a presentation guru and made his slides look like ‘Banner Advertisements on the Highway’. 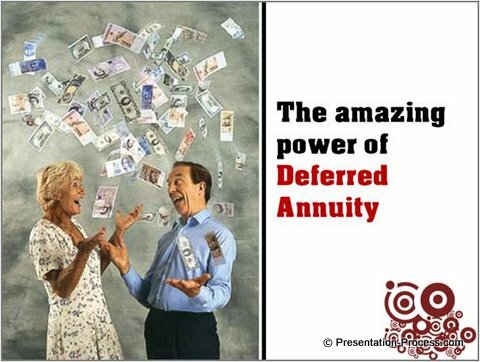 Here is an example of one of the slides he used to explain the concept of ‘Deferred Annuity’. The problem with the slide was wrong focus. 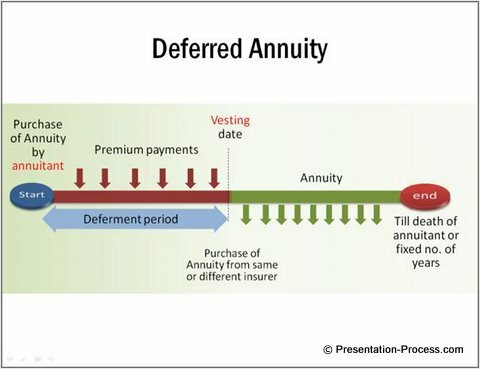 His audience wanted help in visualizing the concept of Deferred Annuity. He made his slide to help them visualize the feeling of owning the product. 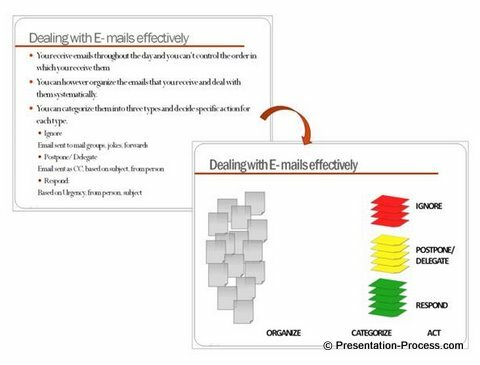 This made over slide captures the relationship between the various elements involved in the concept. 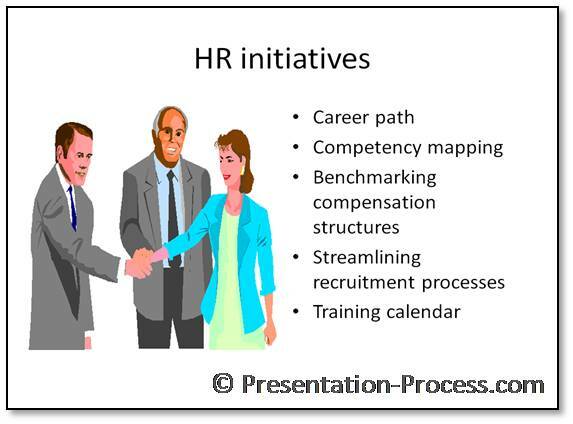 When we showed the slide by animating the relevant portions, the eyes of the trainer lit up with clarity. By shifting the focus of visualization to where it needs to be, we made the concept clear for the audience. One of our clients is a distributor for a network marketing company. 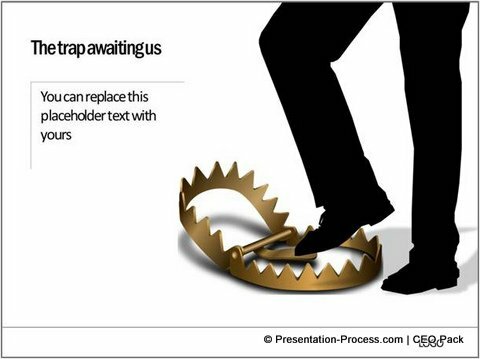 He complained that his ‘professional slides’ were not getting the response he wanted from his team. The problem was the wrong focus of his images. Instead of using his slides to support his explanation, he used them to make a stylish impression. This slide brought his message to life and made a significant impact on his audience. 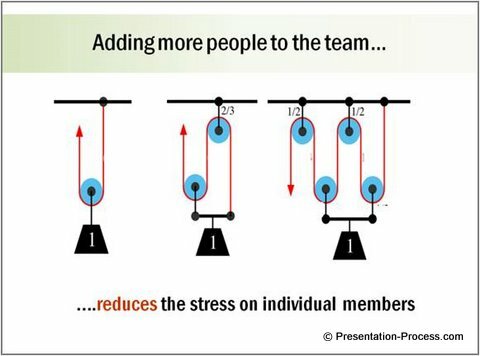 Once again, this shows how you can enhance the impact of your presentation by shifting the focus of your visualization. 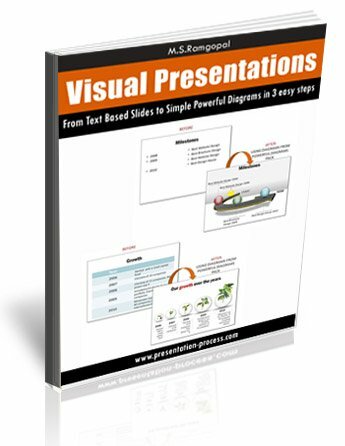 If you are a business presenter, this eBook can help you add powerful well-thought out visuals to your presentations.